“The electric light escapes attention as a communication medium just because it has no ‘content.’ And this makes it an invaluable instance of how people fail to study media at all. For it is not till the electric light is used to spell out some brand name that it is noticed as a medium. Then it is not the light but the ‘content’ (or what is really another medium) that is noticed. 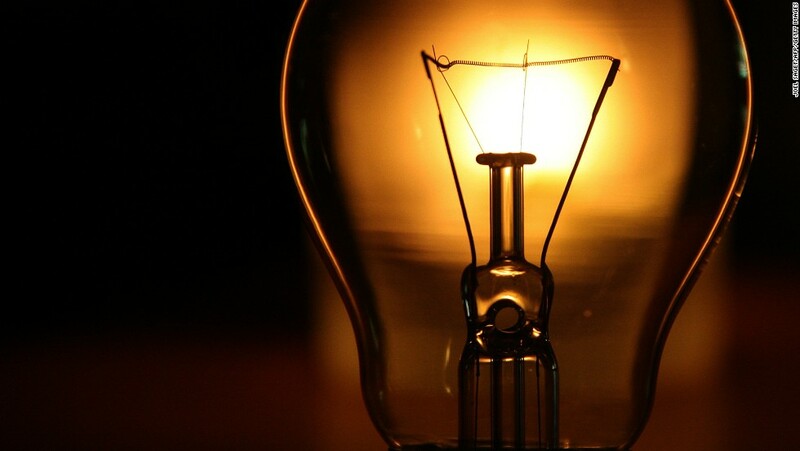 The message of the electric light is like the message of electric power in industry, totally radical, pervasive, and decentralized. For electric light and power are separate from their uses, yet they eliminate time and space factors in human association exactly as do radio, telegraph, telephone, and TV, creating involvement in depth”… – Marshall McLuhan, Understanding Media (1964), p. 9. 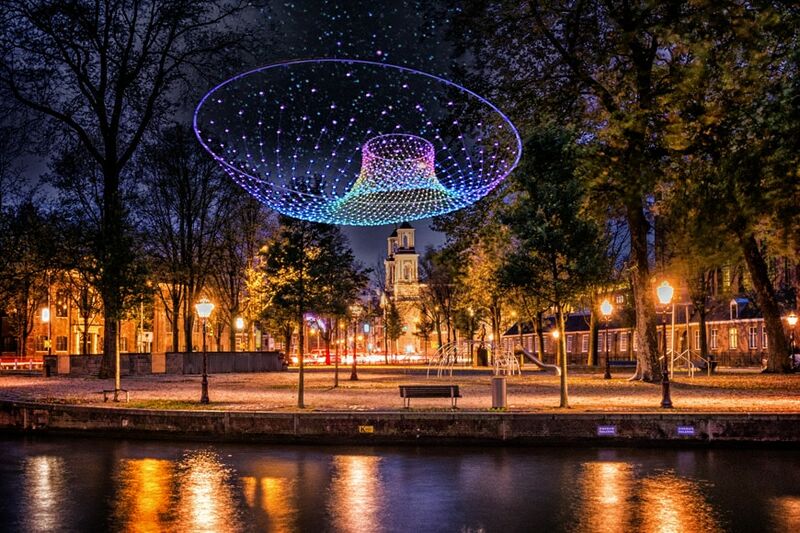 As of 29 November 2018, thirty artworks will light up the city center of Amsterdam for the seventh year in a row. 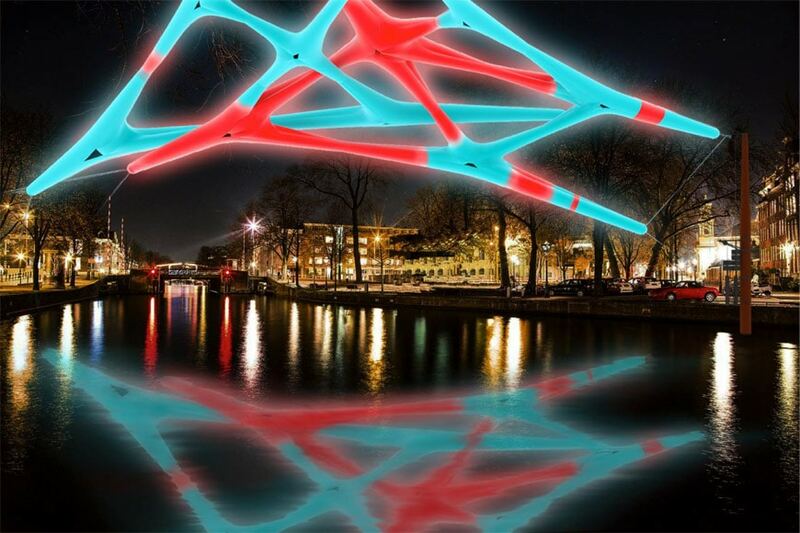 For this years’ edition of Amsterdam Light Festival artists, designers and architects from sixteen different countries share their interpretation of the central theme ‘The Medium is the Message’. All participating artworks will be lit simultaneously during the 53-day-long festival. There will be one exhibition – in the historical center of Amsterdam – which can be experienced in different ways: by boat, by bike or on foot. This year, for the very first time, visitors can vote for their favorite light artwork. The Public Award will be presented to the artist of the winning artwork in the last weekend of the festival. 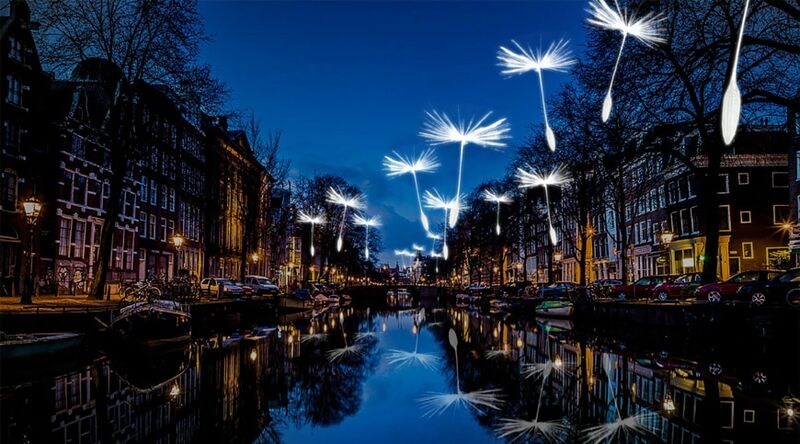 Amsterdam Light Festival can be enjoyed until 20 January 2019. From hundreds of submitted concepts, the festival jury selected thirty artworks. This years’ exhibition revolves around the theme ‘The Medium is the Message‘, the famous statement by the Canadian scientist and philosopher Marshall McLuhan. The idea behind his statement was simple: the way we send a message is at least as important as the message itself. The participating artists focused on questions such as: what role does light play as a medium or a message? And how can light create spaces that would otherwise have remained invisible? The city of Amsterdam as a medium for telling stories is also a central part of this edition. On behalf of the festival, art historian Koen Kleijn went in search of remarkable stories about the city and from October onward they will be released as a ten-part series on the festival website. In his stories, Kleijn identifies the connection between the city and the central theme.